Take the Lead. Sacred Heart Academy promises to empower all students to do just that – in academics, athletics, service, and in life. 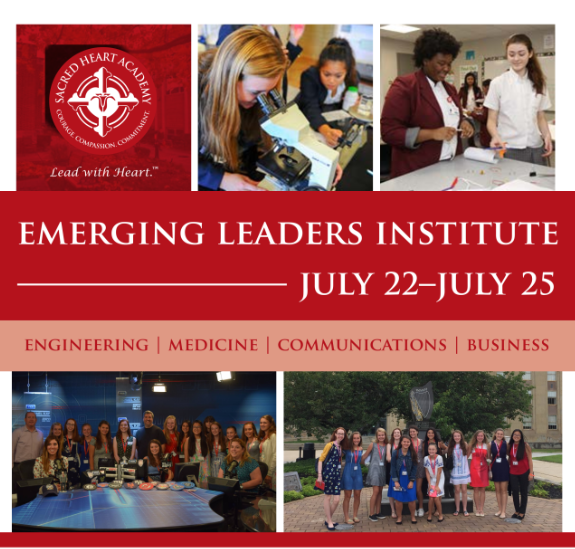 Each summer, in support of that commitment, Sacred Heart Academy holds the Emerging Leaders Institute, a four-day intensive experiential program designed for rising sophomores that provides them with exposure to career paths in various fields such as legal, communications, engineering and healthcare. The Emerging Leaders Institute highlights the collaboration and support that SHA enjoys among all of its constituents – students, parents, faculty, administration and alumnae.